Our rooms are equipped with comfortable linen to assist with your peaceful sleep. Our private rooms include towels. 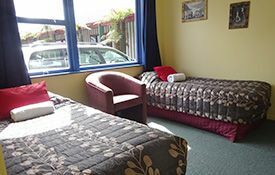 All guests have access to our communal lounge with a TV and shared kitchen facilities which are available 24 hours. 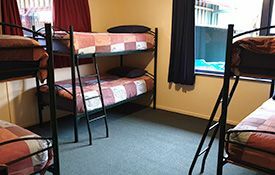 This room has got 6 beds in bunk style. The shared bathroom facility is close to the room. 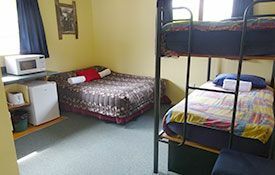 This room is equipped in a bunk-bed style. It has a private bathroom for each room. 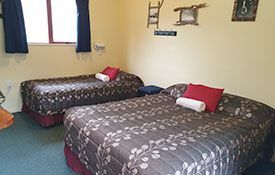 This room is equipped with 2 beds. The bathroom facilities are shared with other guests. 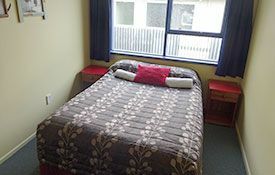 This room has a double bed. The bathroom facilities are shared with other guests. 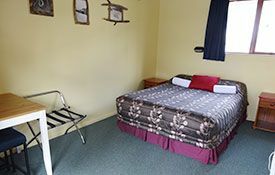 This room has 2 beds with a private ensuite bathroom. 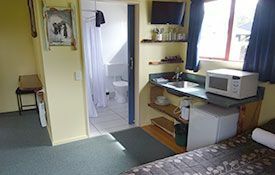 Towels are included and the room has a basic kitchenette. 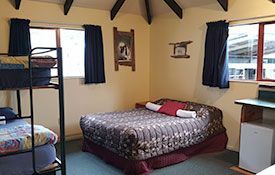 This room has a double bed with a private ensuite bathroom. 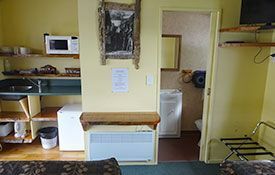 Towels are included and the room has a basic kitchenette. 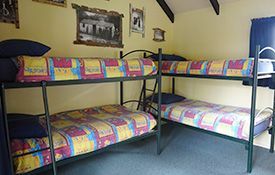 This room has a double bed and a set of bunk beds with a private ensuite bathroom. 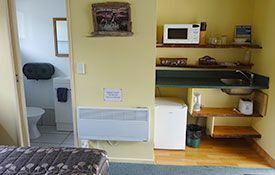 Towels are included and the room has a basic kitchenette.